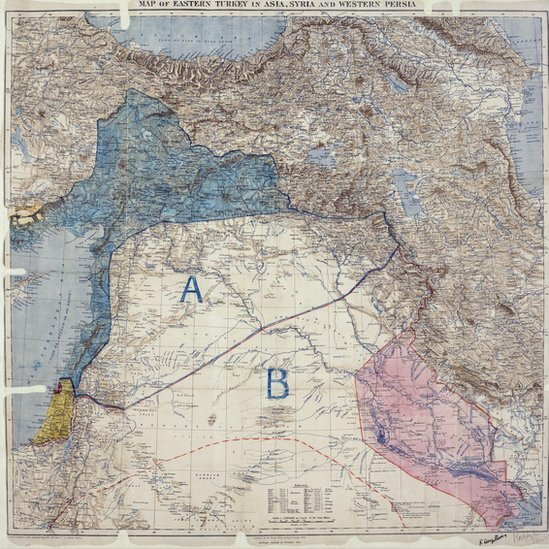 The original secret Sykes-Picot map of 1916: “A” would go to France, “B” to Britain. A map marked with crude chinagraph-pencil in the second decade of the 20th Century shows the ambition – and folly – of the 100-year old British-French plan that helped create the modern-day Middle East. Straight lines make uncomplicated borders. 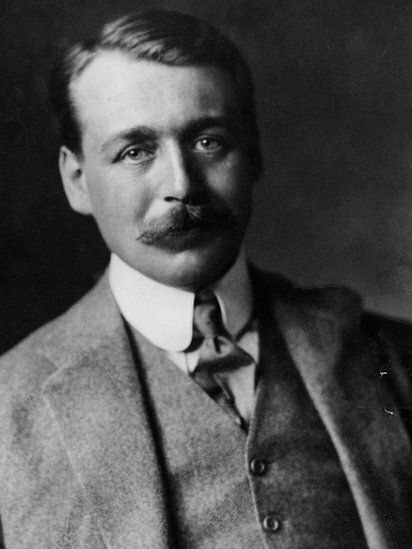 Most probably that was the reason why most of the lines that Mark Sykes, representing the British government, and Francois Georges-Picot, from the French government, agreed upon in 1916 were straight ones. Sykes and Picot were quintessential “empire men”. Both were aristocrats, seasoned in colonial administration, and crucially believers in the notion that the people of the region would be better off under the European empires. Both men also had intimate knowledge of the Middle East. The key tenets of the agreement they had negotiated in relative haste amidst the turmoil of the World War One continue to influence the region to this day. 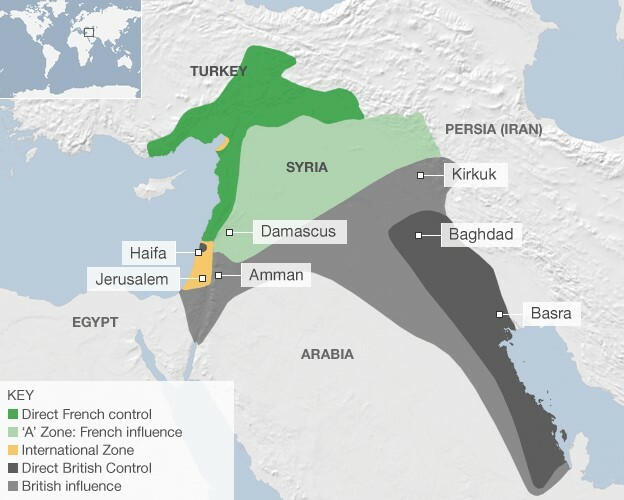 But while Sykes-Picot’s straight lines had proved significantly helpful to Britain and France in the first half of the twentieth century, their impact on the region’s peoples was quite different. The two men were not mandated to redraw the borders of the Arab countries in North Africa, but the division of influence existed there as well, with Egypt under British rule, and France controlling the Maghreb. But there were three problems with the geo-political order that emerged from the Sykes-Picot agreement. First, it was secret without any Arabic knowledge, and it negated the main promise that Britain had made to the Arabs in the 1910s – that if they rebelled against the Ottomans, the fall of that empire would bring them independence. When that independence did not materialise after World War One, and as these colonial powers, in the 1920s, 30s and 40s, continued to exert immense influence over the Arab world, the thrust of Arab politics – in North Africa and in the eastern Mediterranean – gradually but decisively shifted from building liberal constitutional governance systems (as Egypt, Syria, and Iraq had witnessed in the early decades of the 20th Century) to assertive nationalism whose main objective was getting rid of the colonialists and the ruling systems that worked with them. 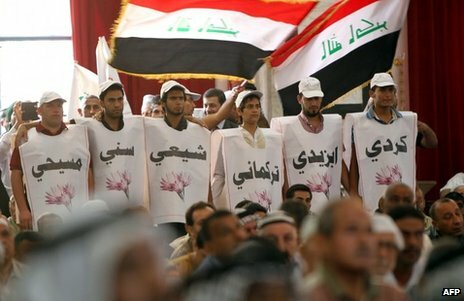 This was a key factor behind the rise of the militarist regimes that had come to dominate many Arab countries from the 1950s until the 2011 Arab uprisings. The second problem lay in the tendency to draw straight lines. For the period from the end of the Crusades up until the arrival of the European powers in the 19th Century, and despite the region’s vibrant trading culture, the different sects effectively lived separately from each other. But the thinking behind Sykes-Picot did not translate into practice. That meant the newly created borders did not correspond to the actual sectarian, tribal, or ethnic distinctions on the ground. These differences were buried, first under the Arabs’ struggle to eject the European powers, and later by the sweeping wave of Arab nationalism. In the period from the late 1950s to the late 1970s, and especially during the heydays of Egypt’s Gamal Abdel Nasser (from the Suez Crisis in 1956 to the end of the 1960s) Arab nationalism gave immense momentum to the idea that a united Arab world would dilute the socio-demographic differences between its populations. In the 1980s and 1990s, the Arab world’s strong men – for example, Hafez Assad and Saddam Hussein in the Levant and Col Muammar Gaddafi in North Africa – suppressed the differences, often using immense brutality. But the tensions and aspirations that these differences gave rise to neither disappeared nor were diluted. When cracks started to appear in these countries – first by the gradual disappearance of these strong men, later by several Arab republics gradually becoming hereditary fiefdoms controlled by small groups of economic interests, and most recently after the 2011 uprisings – the old frictions, frustrations, and hopes that had been concealed for decades, came to the fore. The third problem was that the state system that was created after the World War One has exacerbated the Arabs’ failure to address the crucial dilemma they have faced over the past century and half – the identity struggle between, on one hand nationalism and secularism, and on the other, Islamism (and in some cases Christianism). I have often wondered about the Middle East and how it became so. 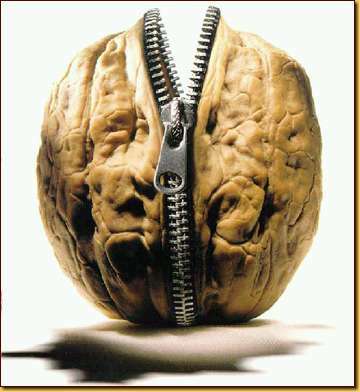 I already knew quite a bit, but not about the nut in the shell. 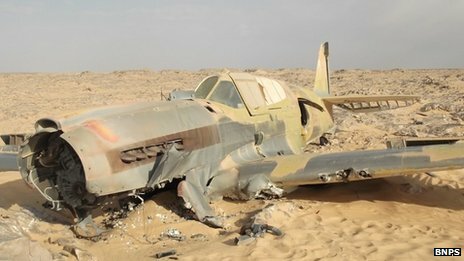 This article on BBC News has explained a lot of what went and goes on inside that shell. As you read, it dawns on you why the Middle East, the Muslim Brotherhood and currently, Syria is so problematic. Should a nation be defined by language and territory, by ruling party or by faith, asks Roger Scruton. These nation states – including Austria, Hungary, Romania and Czechoslovakia – were not arbitrary creations. 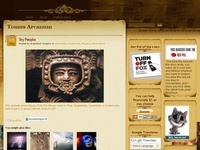 Their boundaries reflected long-standing divisions of language, religion, culture and ethnicity. And although the whole arrangement collapsed within two decades, this was in part because of the rise of Nazism and communism, both ideologies of conquest. Today we take the nation states of central Europe for granted. They are settled political entities, each with a government elected by the citizens who live on its soil. When the Austro-Hungarian Empire collapsed, so too did the Ottoman Empire, whose territories embraced the whole of the Middle East and North Africa. The victorious allies divided up the Ottoman Empire into small territorial states. But very few of these have enjoyed more than a temporary spasm of democracy. Many have been governed by clans, sects, families or the military, usually assisted, as in Syria, by the violent suppression of every group that challenges the ruling power. People often explain the relative absence of democracy in the Middle East by arguing that the carving up of the region into territories bears no relation to the pre-existing loyalties of the people. In a few cases it worked. 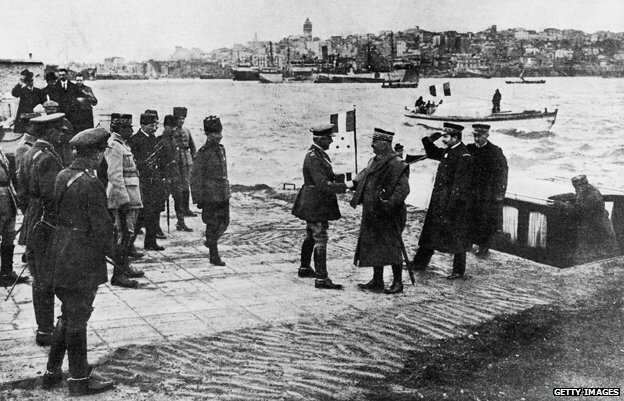 Ataturk, general of the Turkish army, was able to defend the Turkish-speaking heart of the empire and turn it into a modern state on the European model. Elsewhere, many people identified themselves primarily in religious rather than national terms. Hassan al-Banna, who founded the Muslim Brotherhood in 1928, told his followers that bringing together the world’s Muslims in a supra-national Islamic State, a Caliphate, should be a top priority. The result of imposing national boundaries on people who define themselves in religious terms is the kind of chaos we have witnessed in Iraq, where Sunni and Shia fight for dominance, or the even greater chaos that we now witness in Syria, where a minority Islamic sect, the Alawites, has maintained a monopoly of social power since the rise of the Assad family. By contrast Europeans are more inclined to define ourselves in national terms. In any conflict it is the nation that must be defended. And if God once ordered otherwise, then it is time he changed his mind. Such an idea is anathema to Islam, which is based on the belief that God has laid down an eternal law and it is up to us to submit to it: that is what the word Islam means: submission. Sunni Islam was the official faith of the Ottomans, and no other form of Islam was formally recognised. Toleration was extended to the various Christian sects, to Zoroastrians and to Jews. But the official story over several centuries was that the empire was ruled by Sharia, the holy law of Islam, augmented by a civil code and by the domestic law of the various permitted sects. Ataturk abolished the Sultanate and established a new civil code, based on European precedents. And he drew up a constitution that expressly severed all connection with Islamic law, forbade Islamic forms of dress, outlawed polygamy, imposed a secular system of education, and enjoined allegiance to the Turkish homeland as the primary duty of every Turk. In any crisis, when loyalty is at stake, you are to identify yourself first of all as a Turk, and only then as a Muslim. And he allowed the sale of alcohol, so that the Turkish people could drink to their new condition in the way that he preferred. 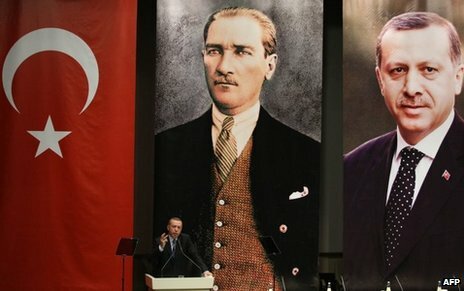 Ataturk remade Turkey as a comparatively open and prosperous country that could turn a proud face to the modern world. For he made it into a nation, defined by language and territory rather than by party or faith. Universal adult suffrage for both sexes was introduced into Turkey in 1933. And the country continues to be governed by a legal system that derives its authority from human legislators rather than divine revelation. At the same time its population is almost entirely Muslim, and experiences the inevitable nostalgia for the pure and beautiful way of life invoked in the Koran. There is therefore tension between the secular state and the religious feelings of the people. Ataturk was aware of this tension, and appointed the army as the guardian of the Secular Constitution. He imposed a system of education for army officers that would make them instinctive opponents of the obscurantism of the clerics. The army was to be the advocate of progress and modernity, which would place patriotism above piety in the hearts of the people. In obedience to its appointed role, the Turkish army has several times stepped in to uphold Ataturk’s vision. It took over in 1980, when the Soviet Union was actively trying to subvert Turkish democracy and nationalists and leftists were fighting it out in the streets. The army has also made its presence felt in recent years, when the government of Prime Minister Recep Erdogan has taken a step back towards the old Islamic values. Erdogan’s Justice and Development Party is nominally secular. But he is a man of the people and a sincere Muslim, who believes that the Koran contains the divinely inspired and uniquely valid guide to human life. He is not happy with a constitution that puts patriotism above piety, and which makes the army, rather than the mosque, into the guardian of social order. 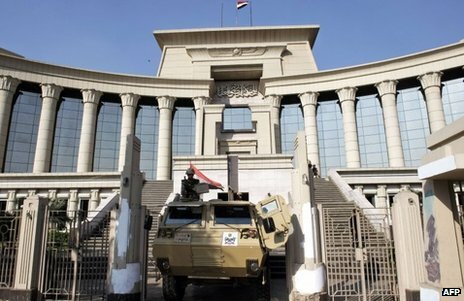 He has put a large number of leading army officers on trial on charges of subversion, some of them now jailed for life. The trials have been denounced as a travesty of justice; but those who say this are likely to be accused of subversion themselves. Journalists opposed to Erdogan’s policies have a remarkable tendency to end up in jail. Newspapers that criticise the prime minister find themselves suddenly confronted with crippling tax demands or massive fines. And popular protests are put down with whatever force may be required. 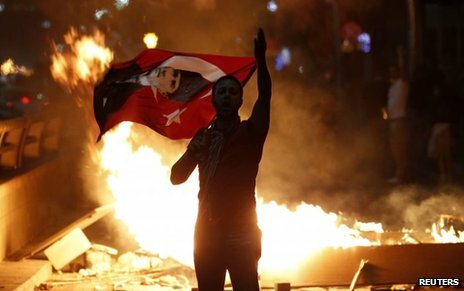 In Turkey, opposition is now becoming dangerous. The Turkish case vividly illustrates the point that democracy, freedom and human rights are not one thing but three. Erdogan has a large following. He has three times won an election with a substantial majority. But the elementary freedoms that we take for granted have been rather jeopardised than enhanced by this. The Egyptian example is even more pertinent. The Muslim Brotherhood has always sought to be a mass movement, seeking to establish itself by popular support. But its most influential leader, Sayyid Qutb, denounced the whole idea of the secular state as a kind of blasphemy, an attempt to usurp the will of God by passing laws that have a merely human authority. Qutb was executed by President Nasser, who came to power in a military coup. And ever since then the Muslim Brotherhood and the Army have played against each other. The Brotherhood aims for a populist government and won an election that it took to authorise the remaking of Egypt as an Islamic Republic. The posters waved by Morsi’s supporters did not advocate democracy or human rights. They said: “All of us are with the Sharia.” The army replied by saying no, only some of us are. So why cannot a modern state govern itself by Islamic law? This is a controversial issue about which there are many learned views. Here, for what it is worth, is mine. The original schools of Islamic jurisprudence, which arose in the wake of the Prophet’s reign in Medina, permitted jurists to adapt the law to the changing needs of society, by a process of reflection known as ijtihad, or effort. But this seems to have been brought to an end during the 8th Century, when it was maintained by the then dominant theological school that all important matters had been settled and that the “gate of ijtihad is closed”. Trying to introduce Sharia today therefore runs the risk of imposing on people a system of law designed for the government of a long since vanished community and unable to adapt to the changing circumstances of human life. To put the point in a nutshell – secular law adapts, religious law merely endures. Moreover, precisely because Sharia has not adapted, nobody really knows what it says. Does it tell us to stone adulterers to death? Some say yes, some say no. Does it tell us that investing money at interest is in every case forbidden? Some say yes, some say no. When God makes the laws, the laws become as mysterious as God is. When we make the laws, and make them for our purposes, we can be certain what they mean. The only question then is “who are we?” What way of defining ourselves reconciles democratic elections with real opposition and individual rights? That, to my mind, is the most important question facing the West today. It is important because, as I shall argue next week, we too are giving the wrong answer. A 10-year-old German boy has found what appears to be a mummy hidden in a corner of his grandmother’s attic. 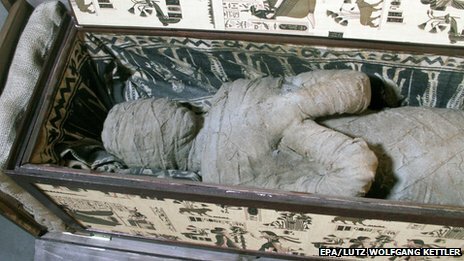 The “mummy” was inside a sarcophagus complete with hieroglyphic adornments, packed in a wooden crate. But it is unclear whether the bandaged item found by Alexander Kettler in Diepholz, northern Germany, is a genuine relic from ancient Egypt. Alexander’s father Lutz Wolfgang Kettler, a dentist, said he had not X-rayed the mysterious find. Instead he plans to load it into his car and drive it to Berlin to be examined by experts, he told the Bild newspaper. Conspirators murdered Egyptian King Ramesses III by slitting his throat, experts now believe, based on a new forensic analysis. The first CT scans to examine the king’s mummy reveal a cut to the neck deep enough to be fatal. The secret has been hidden for centuries by the bandages covering the mummy’s throat that could not be removed for preservation’s sake. The work may end at least one of the controversies surrounding his death. Precisely how he died has been hotly debated by historians. Ancient documents including the Judicial Papyrus of Turin say that in 1155BC members of his harem attempted to kill him as part of a palace coup. But it is less clear whether the assassination was successful. 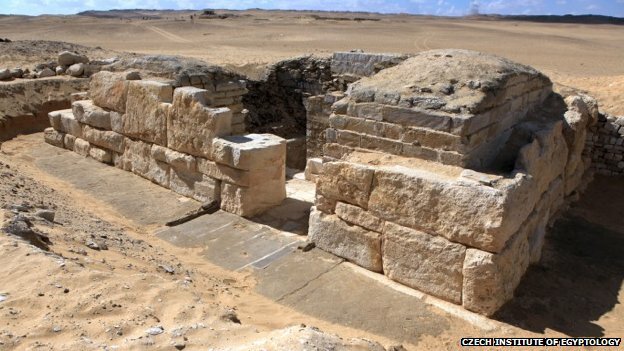 Some say it was, while other accounts at the time imply the second Pharaoh of the 20th dynasty survived the attack, at least for a short while. The Judicial Papyrus tells of four separate trials and lists the punishments dished out to those involved in the plot, which included one of the king’s two known wives, called Tiye, and her son Prince Pentawere – potential heir to the throne. 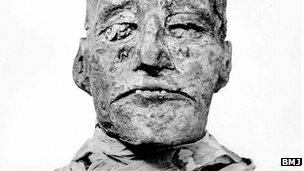 It says Pentawere, the only one of Ramesses III many sons to revolt against him, was involved in the conspiracy, found guilty at trial and then took his own life. To find out more, Dr Albert Zink, a paleopathologist at the Institute for Mummies and the Iceman in Italy, and colleagues set out to examine the mummy of Ramesses III and the unidentified remains of another body found in a royal tomb near the Valley of the Kings in Egypt that was believed to be the king’s son Pentawere. Working out of the Egyptian Museum in Cairo where the bodies are now housed, the team ran some CT scans and DNA tests on the mummies. Scans of Ramesses III revealed a deep, 2.7in (7cm) wide wound to the throat just under the larynx, which the medical scientists say was probably caused by a sharp blade and could have caused immediate death. We all know that deserts are dry places almost devoid of plant life. So how did Moses and the Jewish people survive for 40 years in the Sinai Desert after escaping from their slavery in Egypt? Take nine minutes to view this clip, if you’re a Bible thumper, you’ll rubbish the idea, but then that’s not surprising because it challenges your beliefs, and anything that challenges your beliefs is just plain wrong. However, if you’re a thinking person, this video will make you wonder, what, how and why?